Professor Anthony Smith is the Director of the University of Queensland’s Centre for Online Health (COH). He also holds an Adjunct Professor appointment at the University of Southern Denmark's Centre of Innovative Medical Technology, in Denmark. 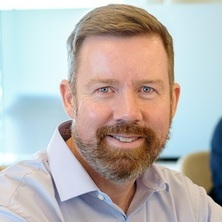 Professor Smith has more than 18 years of research experience involving the planning, implementation and evaluation of new telemedicine applications for the benefit of clinicians and patients in regional and remote areas of Queensland. In 2004, Dr Smith completed a doctorate degree in the field of medicine, by examining the feasibility and cost-effectiveness of a novel telepaediatric service in Queensland. Dr Smith has developed and sustained an exemplary international track record in the establishment and evaluation of telehealth, principally in paediatrics and more recently in the adult and aged care disciplines. In collaboration with the Royal Children's Hospital in Brisbane, he was instrumental in the establishment of the telepaediatric service - which provides routine telehealth services for children all throughout Queensland – in specialties including burns care, cardiology, dermatology, endocrinology, neurology, orthopaedics and psychiatry. Specific research interests include the evaluation of feasibility, cost-effectiveness and diagnostic accuracy of telemedicine applications. Major research achievements have included the evaluation of wireless (robot) videoconference systems in paediatric wards; home telemedicine consultations for children with chronic health conditions; email-based telemedicine support for children with burn injuries; and a community-based telemedicine health screening programme for Indigenous children in the South Burnett region of Queensland. Current projects include the evaluation of telehealth applications in primary care settings and Indigenous communities; the delivery of tele-rehabilitation services into primary schools; online mental health support services in remote locations; and discipline specific clinical telehealth services in Queensland. In 2013, Professor Smith began a role as chief investigator for the NHMRC Centre of Research Excellence (CRE) in Telehealth. He is responsible for two major themes within the CRE which include telemedicine applications in small remote communities and Indigenous Communities. In the field of telemedicine and telehealth, Dr Smith has over 170 publications, including 160 papers in peer-reviewed journals, three edited books and 13 book chapters on telemedicine-related topics. Whilst the field remains highly specialised in comparison to other disciplines, his work is receiving over 150 citations per annum. Dr Smith continues to present his work through publication, national and international conferences and local meetings. Professor Smith is the scientific committee chair for the International Conference on Successes and Failures in Telehealth; and former President of the Australasian Telehealth Society (ATHS) [2013-2015]. He remains an active committee member for the ATHS and contributes to the planning and delivery of the annual telehealth conference. In 2017, Professor Smith was offered the prestigious appointment as Editor in Chief of the Journal of Telemedicine and Telecare (Sage Publishers, London) — one of the leading international journals in the field of telemedicine and telecare. He is also an active peer-reviewer for 11 other journals. Telehealth services for Indigenous Communities: For 12 years, Professor Anthony Smith has been working in partnership with the Cherbourg community, to establish a telemedicine service for the routine screening of Indigenous children at high risk of chronic health conditions. With a high prevalence of ear disease and inconsistent screening procedures, his idea was to convert a vehicle into a mobile health clinic with all the necessary equipment on board for collecting and transmitting clinical assessments. Clinical information is collected by Aboriginal health workers, then uploaded to an online database, which is accessible to the specialists in Brisbane who routinely review cases and provide advice regarding clinical management. His program has resulted in a routine screening program - a tangible community benefit—which now serves thousands of children within schools in the South Burnett region of Queensland. Since the commencement of the health screening telemedicine program in 2009, routine assessments of approx. 1250 children have been carried out in 35 schools annually. The proportion of children being screened for chronic ear conditions has increased from around 38% to over 85% of all eligible cases in the community; while the mean waiting time from referral to actual specialist appointment has been reduced from 73 days in 2009 to 29 days in 2011. The mobile telemedicine ear-screening service delivers an appropriate model of care that reinforces the partnership between Aboriginal and Torres Strait Islander community health services and specialist health services in a tertiary facility and demonstrates a range of benefits associated with the generation of a strong community led health-screening program, supported by specialists at a distance. Post-acute burns care and telemedicine: Professor Anthony Smith had a key role in creating the telepaediatric service at the Royal Children’s Hospital has resulted in significant changes in the way outpatient services are delivered for certain groups of patients. Having had a clinical role in the paediatric burns unit in Brisbane, he was very familiar with patients and families who returned to the department on a regular basis for outpatient care. The time, cost and inconvenience of time away from home was something he was extremely conscious of. After extensive engagement with the multi-disciplinary burns team, Dr Smith introduced telehealth consultations for the post-acute care of children with burn injuries. This required a new model of care, where regional occupational therapists and nurses were trained to deliver outpatient care, with the support of specialists (by videoconference). Instead of traveling back to Brisbane, families were able to attend an outpatient appointment at their nearest hospital, by videoconference. His work resulted in more than 3500 telehealth burns consultations in the first ten years; overall, telehealth appointments accounted for around 14% of all outpatient appointments in the burns unit. This represented a completely new direction in the way outpatient services are delivered in Queensland. Since those early days, this model has continued to be used, and has now been reproduced in other states including NSW, Western Australia and Victoria. Medicare funding for specialist video-consultations: In 2010, Professor Anthony Smith was the lead investigator (CIA) of a tender to deliver a national report on telehealth implementation and technical requirements. This report guided the strategic decisions related to funding videoconferencing consultations through the Medical Benefits Schedule and informed the resultant legislation that was implemented by the Federal Government on 1 July, 2011. This work has been cited by cited by leading agencies including the: RACP, RACGP, ACRRM, RCNA and NEHTA. Global Telehealth 2012: delivering quality healthcare anywhere through telehealth. Edited by Anthony C. Smith, Armfield, Nigel R. and Robert H. Eikelboom Amsterdam, The Netherlands: IOS Press, 2012. Global Telehealth. Edited by Anthony C. Smith and Anthony J. Maeder Amsterdam, Netherlands: IOS Press, 2010. Smith, Anthony C. and Edirippulige, Sisira (2010). Extending health services to rural communities: Telepediatrics in Queensland. In Stefane M. Kabene (Ed. ), Healthcare and the effect of technology: Developments, challenges and advancements (pp. 101-111) Hershey, PA, U.S.A.: IGI Global. Nurses and Telehealth, Current Practice and Future Trends. Edirippulige, S, Smith, A.C., Bensink, M.E., Armfield, N.R. and Wootton R (2009). Nurses and Telehealth, Current Practice and Future Trends.. In Bettina Staudinger, Victoria Hob and Herwig Osterman (Ed. ), Nursing and Clinical Informatics: Socio-Technical Approaches 1 ed. (pp. 94-109) USA / UK: Information Science Reference, Idea Group Inc (IGI). Using informatics to expand awareness. Conrick, M. and Smith, A.C. (2009). Using informatics to expand awareness.. In John Daly, Sandra Speedy and Debra Jackson (Ed. ), Contexts of Nursing 3e 3 ed. (pp. 330-350) Australia: Churchill Livingstone - Elsevier Australia. Batch, J. and Smith, A. C. (2005). Diabetes and telemedicine. In R. Wootton and J. Batch (Ed. ), Telepediatrics: Telemedicine and Child Health 1 ed. (pp. 89-104) London, U.K.: Royal Society of Medicine Press. Kimble, R. M. and Smith, A. C. (2005). Post-acute burns care for children. In R. Wootton and J. Batch (Ed. ), Telepediatrics: Telemedicine and Child Health (pp. 111-118) London, U.K.: Royal Society of Medicine Press. Smith, A. C. and Pelekanos, J. T. (2005). Telemedicine in Paediatric Neurology. In R. Wootton and V. Patterson (Ed. ), Teleneurology (pp. 117-135) London, United Kingdom: Royal Society of Medicine Press. Smith, A. C. (2005). Telepaediatrics in Queensland. In R. Wootton and J. Batch (Ed. ), Telepediatrics: Telemedicine and Child Health 1 ed. (pp. 25-39) London, U.K.: Royal Society of Medicine Press. Smith, A. and Wootton, R. (2004). Telemedicine in surgery. In R. Kamel and J. Lumley (Ed. ), Textbook of tropical surgery (pp. 149-153) London, U. K.: Westminster Publishing. Bradford, N. K., Caffery, L. J. and Smith, A. C. (2016) Telehealth services in rural and remote Australia: a systematic review of models of care and factors influencing success and sustainability. Rural and Remote Health, 16 3808: 3808. Bradford, N. K., Caffery, L. J. and Smith, A. C. (2016) Correction: Telehealth services in rural and remote Australia: a systematic review of models of care and factors influencing success and sustainability. Rural and Remote Health, 16 4: Article No. 4268. Bradford, N. K., Caffery, L. J. and Smith, A. C. (2016) Correction: Telehealth services in rural and remote Australia: A systematic review of models of care and factors influencing success and sustainability [Rural and Remote Health, 16, (2016) 4268]. Rural and Remote Health, 16 4: . How to formulate research questions and design studies for telehealth assessment and evaluation. The OnTrack diabetes web-based program for type 2 diabetes and dysphoria self-management: a randomized controlled trial protocol. Home telehealth and paediatric palliative care: clinician perceptions of what is stopping us? Telemedicine - is the cart being put before the horse? Smith, Anthony C., Armfield, Nigel R. and Eikelboom, Robert H. (2012) Preface. Studies in Health Technology and Informatics, 182 . Gray, L. C., Armfield, N. R. and Smith, A. C. (2010) Telemedicine for wound care: Current practice and future potential. Wound Practice and Research, 18 4: 158-163. Smith, Anthony C. and Maeder, Anthony J. (2010) Studies in Health Technology and Informatics: Preface. Studies in Health Technology and Informatics, 161 . Smith, Anthony C. and Gray, Leonard C. (2009) Telemedicine across the ages. Medical Journal of Australia, 190 1: 15-19. Smith, Anthony C., Dowthwaite, Samuel, Agnew, Julie and Wootton, Richard (2008) Concordance between real-time telemedicine assessments and face-to-face consultations in paediatric otolaryngology. Medical Journal of Australia, 188 8: 457-460. Caffery, Liam Joseph, Stathis, Stephen and Smith, Anthony C. (2008) An encrypted email application for paediatric and adolescent mental health teleconsultations. Electronic Journal of Health Informatics, 3 1: 1-7. Edirippulige, S. K. and Smith, A. C. (2007) Ehealth and healthcare practice. Asian Hospital and Healthcare Management, 13: 56-58. Edirippulige, S., Smith, A. C., Beattie, H., Davies, E. and Wootton, R. (2007) Pre-registration nurses: an investigation of knowledge, experience and comprehension of e-health. Australian Journal of Advanced Nursing, 25 2: 78-83. Smith, A. C., Bensink, M., Armfield, N., Stillman, J. and Caffery, L. (2005) Telemedicine and rural health care applications. Journal of Postgraduate Medicine, 51 4: 286-293. Smith, A. C. (2004) Successes and failures in telehealth - 2004. Telehealth Practice Report, 9 5: 12-12. Smith, Anthony C., Youngberry, Karen, Christie, Fiona, Isles, Alan, McCrossin, Robert, Williams, Michael, Van der Westhuyzen, Jasper and Wootton, Richard (2003) The family costs of attending hospital outpatient appointments via videoconference and in person. Journal of Telemedicine And Telecare, 9 Supp 2: S58-S61. Caffery, Liam, Hobbs, Aidan, Hale-Robertson, Karen and Smith, Anthony (2017). Telehealth substitution of rural outreach services: an economic analysis. In: Leanne Coleman, 14th National Rural Health Conference Proceedings. National Rural Health Conference, Cairns, Australia, (). 26-29 April 2017. Al Dossary, Sharifah, Martin-Khan, Melinda, Armfield, Nigel and Smith, Anthony (2017). The evaluation of a telemedicine planning framework based on needs assessment. In: International Conference on Successes and Failures in Telehealth (SFT-17), Brisbane, Australia, (). 30-31 October 2017. Keogh, Kandice, Clark, Paul, Valery, Patricia C., McPhail, Stephen, Day, Melany, Bradshaw, Candice and Smith, Anthony (2016). A new model of care for management of patients with viral hepatitis: the use of Telehealth to manage chronic hepatitis C infection in regional Queensland. In: Successes and Failures in Telehealth - 7th Annual Meeting of the Australasian Telehealth Society, Auckland, New Zealand, (40-40). 1 - 3 November, 2016. Al Dossary, Sharifah, Martin-Khan, Melinda, Smith, Anthony and Armfield, Nigel (2016). Assessment of the availability and expressed need for services in Dalby – Queensland. In: Successes and Failures in Telehealth - 7th Annual Meeting of the Australasian Telehealth Society, Auckland, New Zealand, (10-10). 1 - 3 November, 2016. Keogh, K., Clark, P., Valery, P. C., McPhail, S., Day, M., Bradshaw, C. and Smith, A. (2016). Attitudes of general practitioners towards the delivery of telehealth hepatology services in the Central Queensland region. In: Successes and Failures in Telehealth - 7th Annual Meeting of the Australasian Telehealth Society. Successes and Failures in Telehealth 2016, Auckland, New Zealand, (83-83). 1 - 3 November 2016. Martin-Khan, M., Gray, L., Beattie, E., Edirippulige, S., Russell, T. and Smith, A. (2016). Challenges in implementing Randomised Control Trials in Health Service Implementation Research: Protocol issues in a telehealth trial in residential aged care. In: Successes and Failures in Telehealth - 7th Annual Meeting of the Australasian Telehealth Society. Successes and Failures in Telehealth 2016, Auckland, New Zealand, (49-49). 1 - 3 November 2016. Wickramasinghe, Sumudu, Caffery, Liam, Bradford, Natalie and Smith, Anthony (2016). Cultural adaptations and problems encountered in providing telediabetes services for Indigenous communities: A systematic review. In: Successes and Failures in Telehealth - 7th Annual Meeting of the Australasian Telehealth Society, Auckland, New Zealand, (90-90). 1 - 3 November, 2016. Taylor, Monica, Caffery, Liam, Smith, Anthony and Lucas, Karen (2016). Substitution rates of video consultations for traditional consultations at a tertiary public hospital. In: Successes and Failures in Telehealth - 7th Annual Meeting of the Australasian Telehealth Society, Auckland, New Zealand, (68-68). 1 - 3 November, 2016. Caffery, Liam, Farjian, Mutaz and Smith, Anthony (2016). Telehealth interventions for reducing waiting lists for specialist outpatient service: a scoping review. In: Successes and Failures in Telehealth - 7th Annual Meeting of the Australasian Telehealth Society, Auckland, New Zealand, (14-14). 1 - 3 November, 2016. Bradford, Natalie, Armfield, N., Young, J. and Smith, A. (2011). Accuracy of medication checks via internet video: Resources and research update. In: Successes and Failures in Telehealth. Successes and Failures in Telehealth, 2nd Annual Meeting of the Australasian Telehealth Society., Royal on the Park, Brisbane, (). 1-2nd December 2011. Edirippulige, S. K., Marasinghe, R., Smith, A. C., Fujisawa, Y, Herath, W. B., Jiffry, M. and Wootton, R. (2007). Evaluation of E-Learning Practices in Undergraduate Medical Education: Results of a Survey in Sri Lanka. In: Proceedings of the ECEH'07. European Conference on eHealth 2007, Germany, (217-224). 11-12 October, 2007. Edirippulige, S. K., Marasinghe, R., Smith, A. C., Fujisawa, Y., Herath, W. B., Jiffry, M. T. and Wootton, R. (2007). Knowledge and Perceptions of e-Health: Results of a Survey of Medical Students in Sri Lanka. In: Health Networking, Application and Services. International Conference. 9th 2007. Healthcom 2007. 9th International Conference on E-health networking, Application and Services 2007, Taipei, Taiwan, (95-99). 19-22 June, 2007. Edirippulige, Sisira, Marasinghe, Rohana B., Smith, Anthony C., Fujisawa, Yoshikazu, Herath, Walisundara B., Jiffry, M. T. M. and Wootton, Richard (2007). Medical students' knowledge and perceptions of e-health: results of a study in Sri Lanka. In: Klaus A. Kuhn, James A. Warren and Tze-Yun, Leong, Studies in Health Technology and Informatics. MEDINFO 2007. Proceedings of: 12th World Congress on Health (Medical) Informatics – Building Sustainable Health Systems. 12th World Congress on Health (Medical) Informatics – Building Sustainable Health Systems, Brisbane, Australia, (1406-1409). 20-24 August 2007. Armfield, N. R., Bensink, M., Smith, A. C., Donovan, T. J. and Wootton, R. (2007). Mobile telemedicine: robots,fish and other stories. In: Proceedings of the ECEH'07. European Conference on eHealth 2007, Germany, (143-154). 11-12 October, 2007. Smith, Anthony Carl (2004). The feasibility and cost-effectiveness of a novel telepaediatric service in Queensland PhD Thesis, School of Medicine, University of Queensland. Going the distance-a needs assessment of patients with liver disease and general practitioners in Central Queensland, and the feasibility of a state-wide telehealth outreach program for liver disease for underserved regional and rural communities in Queensland (HEPREACH).